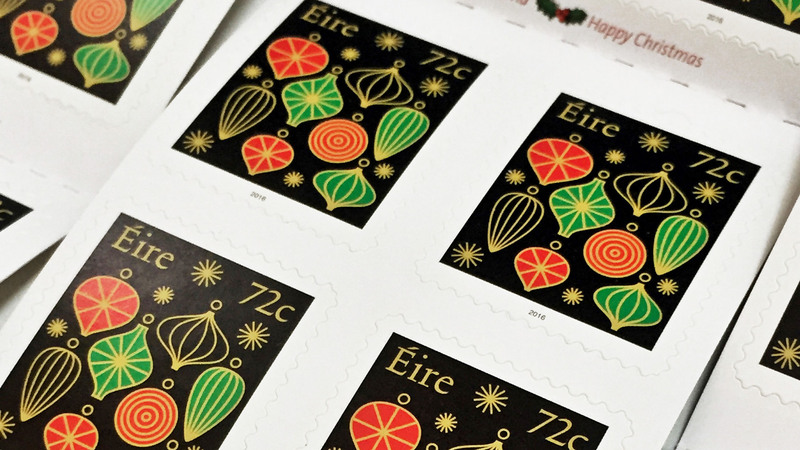 Christmas is the busiest time of the year for An Post, with letters, cards and packages travelling both nationally and internationally. 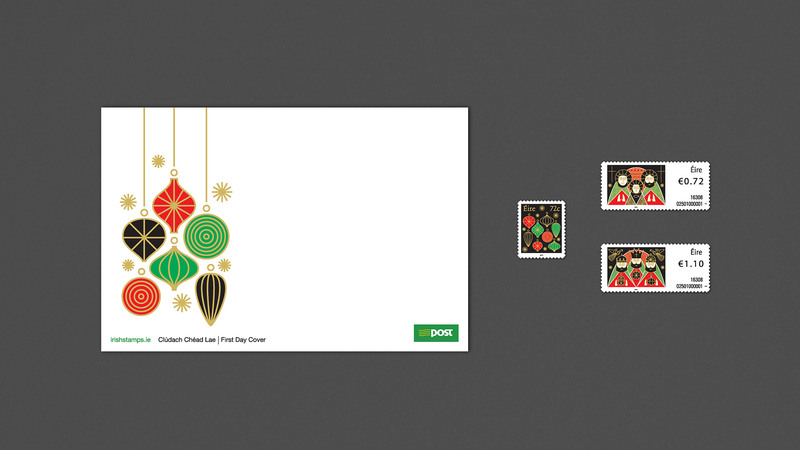 The core concept for the Christmas 2016 stamps centres around the idea of people coming together. We felt this was well represented by the magi and nativity scenes. While Christmas is very much a Christian holiday, many traditional symbols, such as the Christmas tree and baubles, can be seen in the homes of people of other cultures and faiths. The baubles, with their many shapes and sizes, are a fitting symbol for diversity. 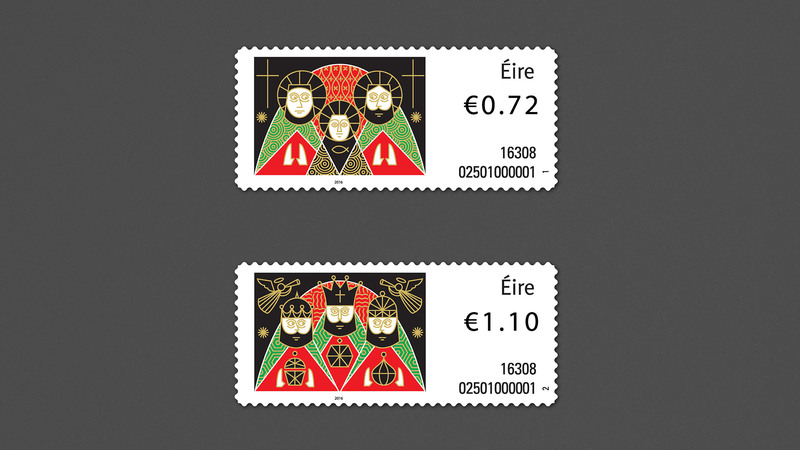 The illustration uses simple two-dimensional forms and patterns, reminiscent of those seen in early Christian manuscripts. There is a common structure to the background and core elements, both SOAR (stamps on a roll) stamps feature people inhabiting a space. The style of illustration used in the SOAR stamps is carried through to the single booklet stamp and FDC (first day cover) envelope. Pattern and bold colour are juxtaposed to illustrate a typical selection of tree decorations.